This section of the archive brings together early photos. 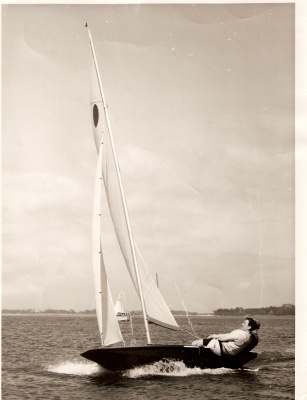 Peter Milne & Donald Stevens sailing FB1 in Chichester Harbour early in 1962. Note Donald is wearing a trapeze harness: FB'0' was tested with and without a trapeze. In the event, Fireball had to wait until 1965 for the trapeze to be formally adopted.